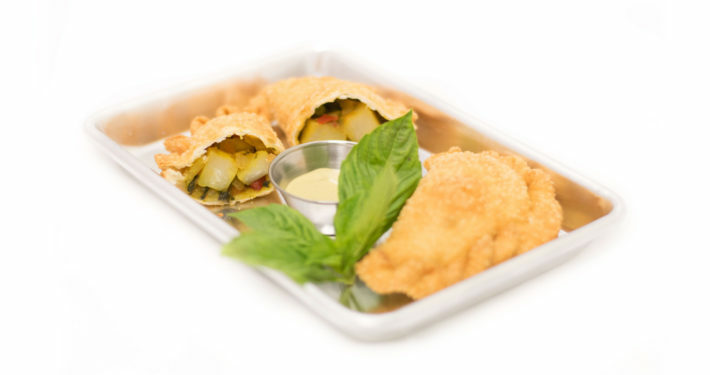 If you’re in the inner loop and want a quick bite to eat, or want to fill your stomach to the brim, stop by the Empanada Factory. 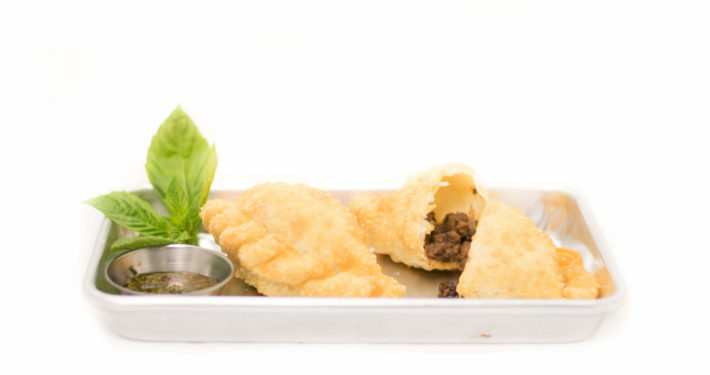 At the Empanada Factory we serve freshly baked/fried empanadas that will bring the flavors of Argentina into your mouth, in a matter of minutes. We serve gourmet food like a fast food joint. 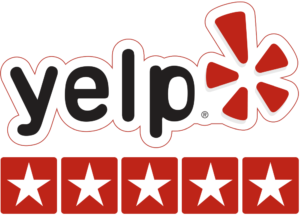 Our service is fast so that you don’t spend a ton of time waiting on your food, and instead spend that time enjoying it. You can also order ahead if you’re in a hurry, and we’ll keep your food ready for you. The young man at the front was very nice; I’m not sure if the owners of The Empanada Factory are the same as Argentina Cafe over in the Galleria but I’m pretty sure it said “Argentina Cafe” in the name here, and that is a great spot for Argentine food. This one is a bit smaller and more “to-go” but the decor is super cute and has graphic maps of Buenos Aires and cool artsy signs and a futbol game was on *naturally*. Their empanadas are delicious! 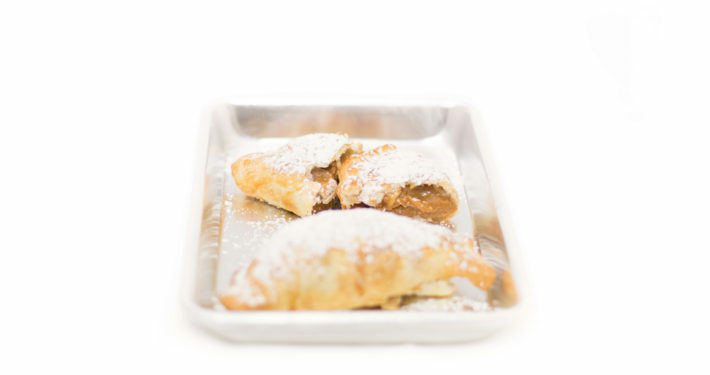 Empanada factory is from the same people who brought us Argentina Café and Che Inka. 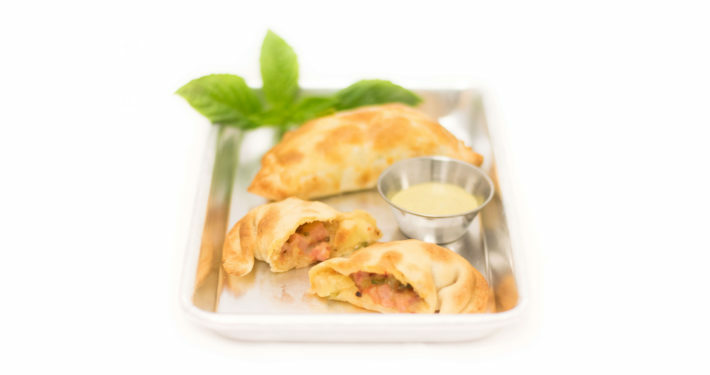 The new location serves the same empanada options as at Argentina Café, plus many more! They serve beef, chicken, pork, seafood and lots of vegetarian options. My friends and I tried the shrimp, sweet beef, chicken, corn/choclo, eggplant Mediterranean, spinach, chicken and avocado, Hawaiian and sausage empanadas, as well as their cappuccino and coffee (which was delicious!). The empanadas were all delicious, although the clear winners were chick/avo, sweet beef, chicken, choclo and spinach. Although I didn’t choose it this time, I’ve had Argentina Café’s onion and cheese empanada and I would say that one is definitely the best vegetarian one. 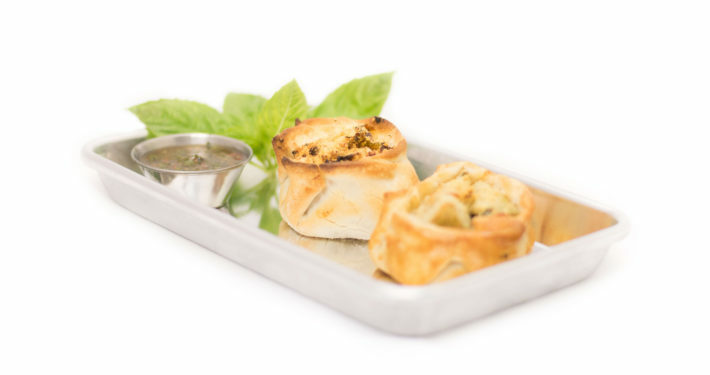 This location has 3 sauces: chimichurri with spices, creamy yellow pepper and creamy jalapeño. They were all delicious and each one paired well with various empanadas. My only complaint is that some empanadas were supposed to have caramelized onions, but didn’t, and the Hawaiian was supposed to have pineapple, but didn’t. I know this group of restaurants is usually the picture of perfection, so I think it was just a fluke due to it being a new restaurant. They also sell mini empanadas (either baked or still fresh) for parties. 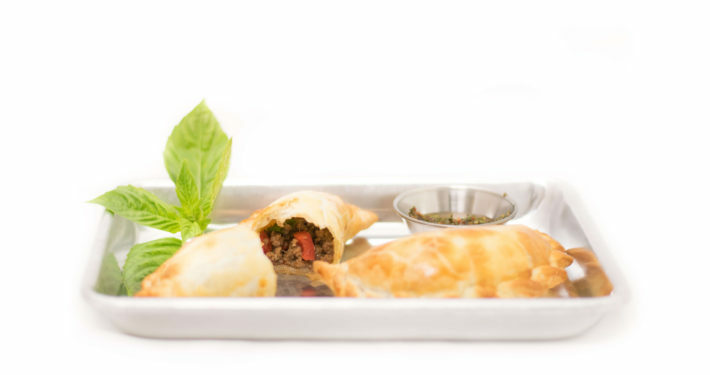 The orders start at 4 dozen mini empanadas and will run you about $1 – $1.50 per empanada. Delicious empanadas at a good price. For about $10 you can get yourself a nice lunch. For me it took three but most people seem to only order two. I tried two different beef empanadas one that was sweet and one that had more of a Mediterranean flavor. Both of these were delicious and I would recommend trying each of them. I was also excited to try the shrimp, but I was informed that they were out. I went with the fish as the third, and it was rather mediocre and came out after I had already finished my first two. My friend who was with me had the chicken avocado and I don’t remember the other one. While liked them he didn’t seem that impressed. Had I just stuck to the beef’s perhaps I would have given this place a 5, but as it sits a solid 4+. Normally I have to leave the loop for decent South American eats. This fairly new addition to the Argentina cafe family makes a splash in the West U / Greenway area. 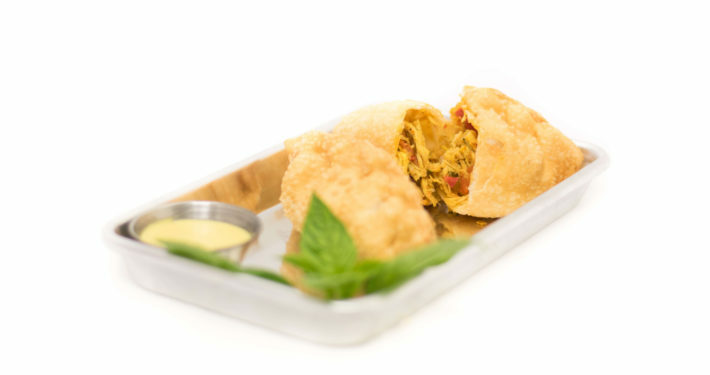 Small but cozy and packing lots of flavor, they dish out a variety of empanadas both fried and baked. If your bringing a little, they do have child seats and are very accommodating to moving the tables to suit your party. The empanadas range from 2.5-3ish dollars each and two or three will leave you full and satisfied. 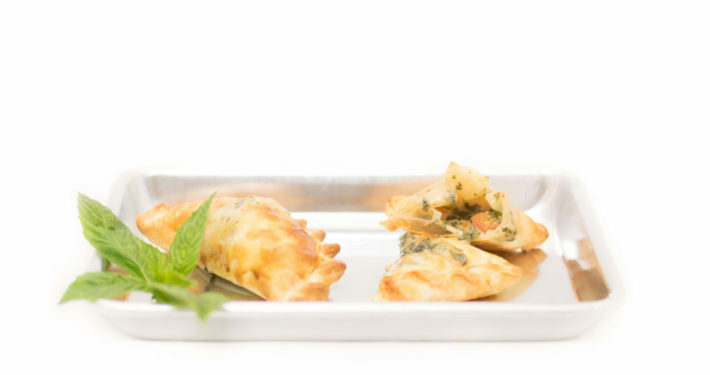 The chimichurri sauce is executed well and pairs perfectly with the savory empanadas. Fairly decent expresso as well with a variety of other canned and bottled drinks. The service was prompt and the food cooked to order. They also pack items to go if your in a hurry or wanting to pick up a few in bulk for a party or event. I am curious to try the pizza offerings and look forward to a follow up trip along with dessert.